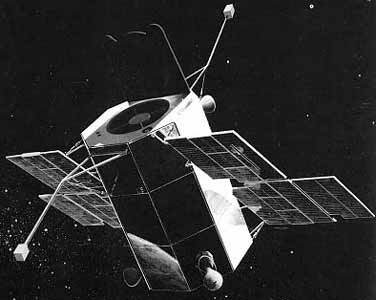 OAO 1 (Orbiting Astronomical Observatory 1) was a solar-cell-powered satellite instrumented to make precision astronomical observations and to measure the absorption and emission characteristics of the stars, planets, nebulae, and the interplanetary and interstellar media from visible to gamma-ray regions. The stabilization system permitted three axes a pointing accuracy of 1 arc minute after the star tracker acquired a guide star. The control system permitted an ultimate pointing accuracy of 0.1 arc second. OAO 1 was launched in a nominal nearly perfect circular orbit and operate as planned for the first 7 min after separation. Suqsequent high voltage arcing and battery depletion caused the mission to be terminated as a failure after 20 orbits without activating the experiments. Major problems were attributed to a failure in the power supply system and to high volatage arcing in the star trackers.